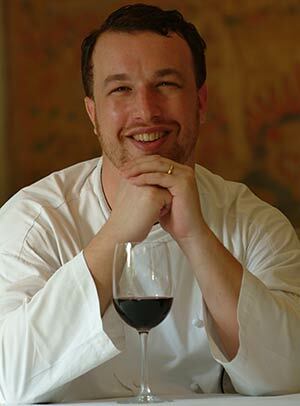 Chef Chris Salans was Born in Washington D.C. on July 18th, 1970, from a French mother and an American father, Chris moved to Paris, France, at the age of two. Living in a ‘French’ family he was brought up eating his mother’s French home cookin g and drinking wine; his mother is from the region of Sologne, where game and mushrooms abound. school in Paris. There followed his first internship at l’Oustau de Baumaniere, a 3-Michelin-star restaurant (at the time) in Les Baux de Provence, France, and then worked at Lucas Carton, France, another 3-Michelin-star restaurant where he worked up his way to head Saucier. He then decided to further his career in the United States. He was fortunate enough to be hired in New York city by David Bouley as a sous chef. While he worked under his command Chris developed such an awe for Asian cuisine that he decided to accept a position as an executive chef in Bali, Indonesia, at The Legian Suites. Having kept in contact with David Bouley (i.e.,participating with him in a food show in Bangkok, Thailand) he eventually returned to New York City and joined his team as He ad Chef of his new restaurant, Bouley’s Bakery. After a year there, he decided to move to Napa Valley in California and accepted a Head Chef position for Thomas Keller’s new French bistro restaurant, “Bouchon”. Missing the mystic of Bali, he decided to return. The love for his Indonesian wife (she is from Semarang in Java), her mother’s food and his experience in modern cuisine have allowed him to finally express his own style of cooking. Day after day, eating in traditional warungs and at home, he developed techniques to bring the amazing flavors of Indonesian cuisine to Westerners’palates. As Head chef at Ary’s Warung, in Ubud, he developed a new cuisine by joining into a cutting edge concept the flavor s of Indonesian cuisines, and the techniques of modern cooking and presentati on. Working there for three years, he created a cuisine with perfect balance between Indonesian flavors and Western techniques. However the challenge had only begun. Now that he had been successful in learning how to use Indonesian ingredients, he had to develop his own style of cuisine -Modern International Balinese Cuisine. 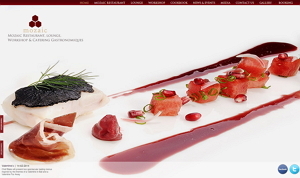 For this he introduced his new endeavor, Mozaic restaurant. Mozaic was an immediate success. Within 3 years the restaurant was recognized by the prestigious European association , Tradition et Qualité, as a member of ‘Les Grande Tables Du Monde’ (The Grand Tables of the World), joining an exclusive membership including world most famous restaurants such as Lucas Carton (Alain Senderens), Le Louis XV and Plaza Athénée (Alain Ducasse), Guy Savoy (Guy Savoy) and The French Laundry (Thomas A Keller). Mozaic is now the second of only two restaurants to be recognized in South East Asia. Mozaic was published as best restaurant in Indonesia by Food&Wine, Prestige and Indonesia Tatler mag azines. Wine Spectator presented Mozaic with the Award of Excellence for their wine list, becoming the first restaurant in Indonesia to receive such recognition for their wine list. Master Chef invited at the Singapore 2008 World Gourmet Summit, Chris Salans continues his world expedition of promotion for Bali, its ingredients and culture. His appearance at the 2010 Rheingau Festival alongside Daniel Boulud, as invited Master Chef, has once again shown the creativity of this talented Bali based chef. Chef Salans and Mozaic have received numerous awards and accolades in the last few years, including features in the International Herald Tribune, The New York Times and a place among the best in the world with a listing in the 100 Best Restaurants in the World in the 2009 San Pellegrino Guide and a third year in the Top 10 of the Best restaurants in Asia, in the 2010 Miele Guide. 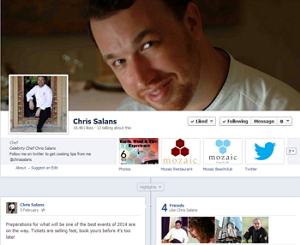 In 2013, Chef Chris Salans is now invited to culinary events worldwide as a Master Chef. Awards continue to abound with a 50th place on Asia’s San Pellegrino Best Restaurants, the Best Indonesian Restaurant and a 5th place on the Miele Guide’s Best Restaurant of Asia. 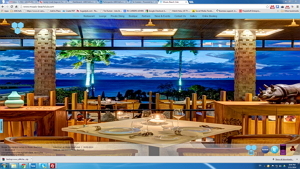 In 2012, Chef Chris Salans joined by Chef James Ephraim, opens the Mozaic beach Club in Batu Belig on the South West Coast of Bali. The Poolside lounge and tapas bar, a la carte fine dining and Private Dining Room two-story building is situated only a few steps away from the new W Hotel, is perfectly located for a stunning sunset on one of Bali’s uber-hip South Coast. Combining Salans’ culinary genius and hospitality savoir faire, his flair for great service and the expertise of a te am he assembled over the years, Chris Salans creates the perfect synergy with the Mozaic Beach Club. In partnership with some of the industry’s best suppliers and greatest names of excellence like Schott Zwiesel, Nayati and Lotus Art de Vivre, The Mozaic Beach Club opened to great acclaim. 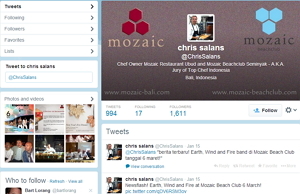 Chris Salans published his first book, Mozaic: French Cuisine, Balinese Flavours in 2011. We came close up and Personal with Chef Chris Salans to get to know him better and find out a little bit more about his Personality, Character and Spicy details about his life. How did you become a Chef ? What is your “motto-quote” in life ? How would you describe your character with 5 words? What are your weaknesses if any ? What do you see yourself doing in 5 years’ time? What qualities you value in most cooks ? What mistakes in the kitchen you will never forgive ? Who is the chef you admire the most ? I admire all successful chefs. To be a chef is not an easy thing and so to anyone who has made it to the top and stays here I take my Hat off ! What would be your worst kitchen nightmare ? That I burned the sauce! What is the secret of your success ? What are your favorite local specialty and International specialty? Every country I have been too has always had a favorite dish for me so to list them all would be impossible. My favorite Balinese dish would be Babi Guling – roasted suckling pig – from Ibu Oka in Ubud. Which Cuisine is your favorite? Which is your favorite dish? What you do not eat? What you didn’t like to eat as a child? Which is your favorite restaurant? Which is your favorite holiday destination? Which is your favorite drink ? What is your favorite activity ? What is the most crazy thing you have done in your life? Married my wife and open a restaurant in Ubud ! Have you done something in your life that you wish you haven’t and what was it? Who you would like to take out for a Dinner and where? What and Who would you take on a desert Island ? Who is the sexiest Celebrity Chef by your opinion? Who would you like to be locked in the kitchen with, for one night (after service)? Which is your favorite “ Soul food” dish that you’ve created and can we have the recipe? The favorite ‘soul warming food’ that I have made would have to be a tuna (served rare), smoked salmon and red onion sandwhich served in black rice bread, mayo, spicy mustard, lettuce and tomato.